Welcome to the first issue of the Canadian Yoga Alliance Newsletter. We are proud and excited to begin a new chapter in the evolution of CYA. This newsletter is for the Canadian Yoga Community and about the Canadian Yoga Community from coast to coast. As such, we welcome and encourage our readers to send in their thoughts, ideas, stories and pictures as well as to forward the newsletter on to others that may enjoy it but are not yet on the email list. We are also looking for regular writers and submissions from Yoga Schools or Businesses, so if you are one of these organizations or if you know of an organization, who would be interested in writing for us, please have them email me. The Newsletter will come out four times a year as the seasons begin (Spring-March 20, Summer-June 20, Autumn- Sept 20 and Winter- Dec 20) and will also be available on our website in addition to a link on our Facebook page. Coming up in the next newsletter: the Summer Solstice, Canadian Yoga Vacation destinations, as well as thoughts of how to take your Yoga with you on vacation. 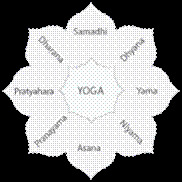 We will also look at one of the most widely known asana: Adho Mukha Svanasana (Down Dog). Be sure to watch your inbox for the next issue! May the Spring season bring renewed spirits, renewed growth and an awakening from our winter’s hibernation. 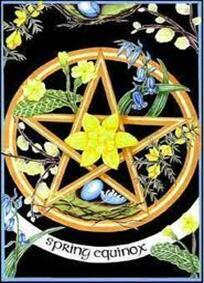 Spring Equinox is March 20th as the Sun enters Aries at 1:14am. It is the ‘Day of Furze’. 3 Alder. The Second Station of the Year. For Healing circles the medicine of Raven is present, guiding & dispelling disease or illness bringing the new state of wellness from the void of Great Mystery & the field of plenty. CYA is definitely about wellness & healing. Yoga flies like a Raven; healing & restoring the bodies & re-uniting students with the Great Spirit. Raven is the power of the Unknown. Something special is about to happen. How will you respond to this time of New Beginning this Spring Equinox? The Raven is a courier of intention. This Spring Equinox, burn some incense as the carrier of Raven medicine. Take the form of ‘Raven/Crow’ and let your intention soar magically to its destination from the Great Mystery. CYA is the Wing of the Raven, delivering a message from the Great Mystery to you. Thank-you for reading and most of all…thank-you for sharing in all that you do! Is it time for a bit of Spring Cleaning in your life? 1) De-Cluttering: Clutter acts as a barrier to good fortune according to the ancient art of Feng Shui. Clear out and ridding yourself of all items that may be holding you back like knick knacks, pictures or old broken furniture associated with negative memories, thoughts or feelings. 2) Time to go through any old clothes, which symbolizes your ability to constantly re-invent yourself as time goes on. Donating them to charity is also a great way to practice Karma and the Yogic principle of Aparigraha or non-hoarding. 3) Clean your home to rid it of all the toxins that have built up over the cold winter months. Wash the walls, ceiling fans and the furnace. Go ahead and open those windows to air out the house and let in the fresh air. Might as well clean them too. 4) Hanging a broom above your front door is supposed to be a good luck charm that prevents bad energies from entering your life. Beneath it, hand a horse shoe, which keeps good energy from leaving your home. 1) Food: Eat local foods as often as possible and eat whole foods as often as possible. Don’t overeat, and eat at regular intervals. Avoid eating late at night. 2) Liquids: drink lots of water, filtered is best. Avoid ice cold drinks, especially with meals. Sip warm water throughout the day. Water with lemon is great for cleansing as lemon is nature’s natural cleaner. 3) Get enough sleep and take time every day to have silence and stillness. Exercise regularly. 4) Tongue scraping is an aid to digestion and for the health of the teeth and sinuses. The 8 limbed path introduced by Patanjali in the Yoga Sutras has been around for thousands of years and read by millions of people. Some say the path is a hierarchy of rules where you must start at the bottom and work your way up to the top, to enlightenment. Others believe it is like a road map and you can work on one or more paths at the same time. How do you see it? Do you have a story, thought or example you would like to share about this age old wisdom? Perhaps something on one of the Yamas or Niyamas? Email me! The model for the asana pose above is Canadian Yoga Alliance founder and President, Violet Pasztor Wilson. Do you want to show your favorite pose? Send in your pictures to: michelle.nisbet.cya@gmail.com and your picture could be in the next issue. The more you meditate, the more you get in touch with yourself. Breathing in, feel joyful. Breathing out, feel joyful. The Canadian Yoga Alliance is a member of the International Yoga Federation. Celebrates the authentic yoga teachings of all traditions, the diversity, harmony and integrity of yoga practices throughout the world. Mission: To lead the global yoga community (world-wide), set standards, foster integrity, provide resources and uphold the teachings of Yoga. On the first day of Spring, the Vernal Equinox, day and night are both approximately 12 hours long (with the actual time of equal day and night, in the Northern Hemisphere, occurring a few days before the Spring Equinox). The Sun crosses the celestial equator going Northward; it rises exactly due East and sets exactly due West. Spring occurs when the Sun moves into the Cardinal sign of Aries, the first sign of the zodiac. There is a burst of energy at the Aries point, an explosion of pure potential and action. This is the energy we feel when we talk about “Spring Fever”. Spring officialy starts on March 20, 2012 at 1:14am EDT. Canadian Yoga Alliance respects your privacy. We do not sell, rent or share your information with anybody and will only use the data to send you the information you have requested. You have received this newsletter because you have either requested it or you are a member of the Canadian Yoga Alliance. If you do not wish to continue to receive the Canadian Yogi Newsletter, simply email canadianyogicalliance@gmail.com to remove your name from the email list.